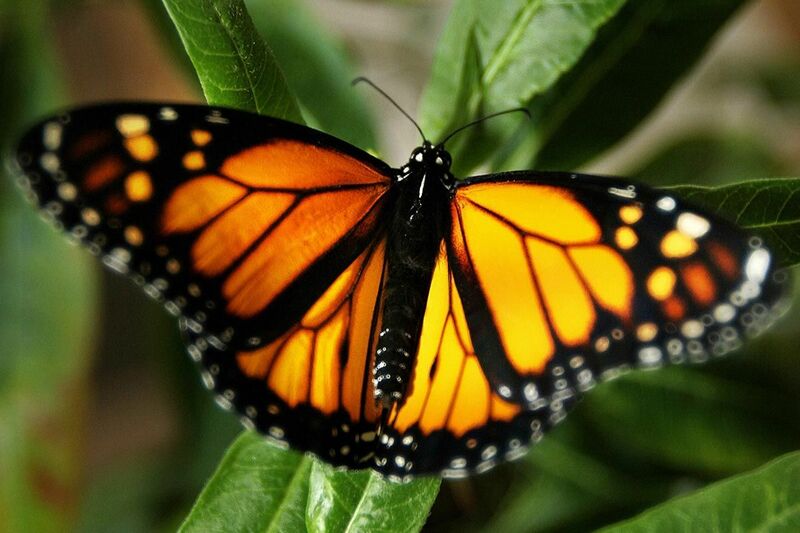 Monarch Butterflies Are Going Extinct. How Can We Save Them? Monarch butterflies are found across America, but are generally broken into eastern and western groups by the natural divide of the Rocky Mountains. 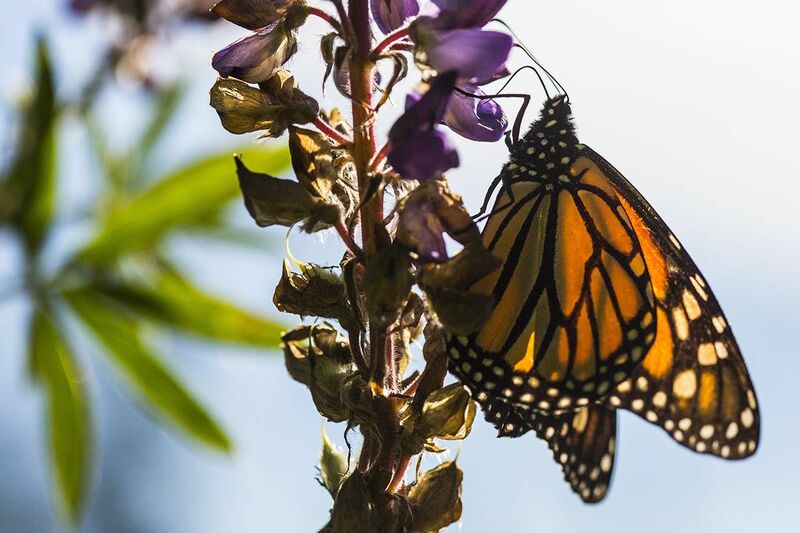 California’s monarch butterfly numbers are at an all-time low, having declined more than 85 percent from 2017, according to the Xerces Society for Invertebrate Conservation. This sudden drop comes after years of steady decline: A massive 97 percent of monarch butterflies have already disappeared since the 1980s. Back then, 10 million monarchs wintered in California. This year, the Xerces Society counted just 28,429. It’s not looking good for the monarchs in the eastern half of North America, either: That population is far larger than the cohort that migrate to California—in 1997, a billion butterflies swarmed the East Coast and settled in Mexico for the winter. In 2017, however, the Center For Biological Diversity found that only 93 million had arrived in Mexico. Overall, the North American monarch butterfly population has shrunk by more than 90 percent in the past two decades. Monarch butterflies, or Danaus plexippus, are a kind of milkweed butterfly known for their tiger-like orange-and-black stripes. With a typical wingspan of four inches, they’re larger than the similar-looking viceroy butterfly. A sprinkling of white spots fringing the tips of their wings look beautiful to us, but they’re actually designed to warn predators that they can be toxic to eat. Although monarchs can be found as far afield as Australia and North Africa, they’re mostly found in North America. (Dazzled by the colorful creature, early European settlers named it “monarch” to honor King William III.) They were the first butterflies to have their genome sequenced, and have even been reared on the International Space Station. Every autumn millions migrate more than 3,000 miles south from the Canadian border. The journey ends on the California coast or in Mexico’s fir forests, where the butterflies will rest for a process called overwintering. It’s a well-earned break—the tiny monarch can travel up to 250 miles a day. On their way home, they lay eggs on milkweed plants. The young hatchlings start their lives as monarch caterpillars, with a similar black stripe pattern as its butterfly parents, before forming a pale green chrysalis. After they emerge as butterflies two weeks later, they join the stream of migrating monarchs returning north for the summer. The individual butterflies never make it through a whole migratory cycle. The insects that are born on the route north live for only a month; it’s own child may also just make a month-long step in the long journey. However, it may also be one of the lucky butterflies that reaches the final destination in Canada. That special cohort of butterflies tend to live for eight months, gliding all the way back down south again on air currents to bask in the winter sun, where they cluster on trees like thick moss. Then it’s time for them to start the journey back north, breeding and dying by the time they reach the Gulf states in spring. This intergenerational journey is incredible for another reason: they’re the only insects known to make such a long migratory route. These butterflies manage to navigate huge distances through their own mysterious internal GPS system. 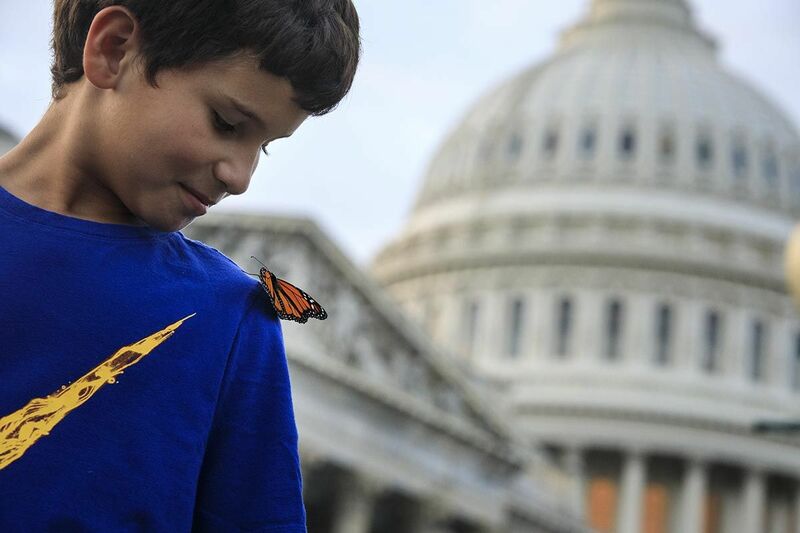 "If you've ever looked inside the brain of a butterfly, it's about the size of a pinhead," Lincoln P. Brower, an expert on the monarch butterfly, told The New York Times in 1990. "And yet the minicomputer inside that pinhead has all the necessary information to get them to Mexico without having been there before." Scientists still don’t understand how they do it, but a number of theories have emerged, including butterflies following the sun, leaving chemical markers, or recognizing certain landscapes. Observed from the ground, the undulating streams of butterflies seem to be meandering peacefully. Yet changing landscapes and climates mean their long journey is increasingly fraught with danger. Roads alone pose a big threat to butterflies. Interstate 35, which stretches from Minnesota to the Mexican border, bisects the butterflies’ migratory route; not too long ago, it was open prairie land. Twenty million monarchs are hit by cars every year on their way to Mexico. That human migration is wiping out the fragile butterfly is symptomatic of how man is driving the changes threatening the monarch. In addition, urban development and aggressive wildfires have decimated overwintering sites in California: In 2016, 62 million trees died across the state, while wildfires at the end of 2018 leveled another chunk of forest. 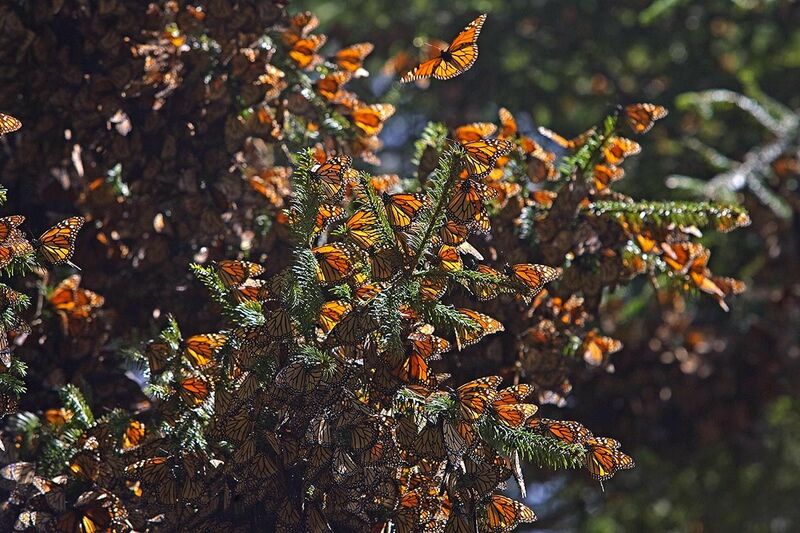 In Mexico, illegal logging threatens the monarch’s winter habitat, despite the Monarch Butterfly Biosphere Reserve in Michoacán being designated a UNESCO World Heritage site in 2008. Perhaps the greatest challenge to the monarch butterfly, though, is the depletion of the milkweed plant, which serves as their food, breeding ground and habitat while travelling north. 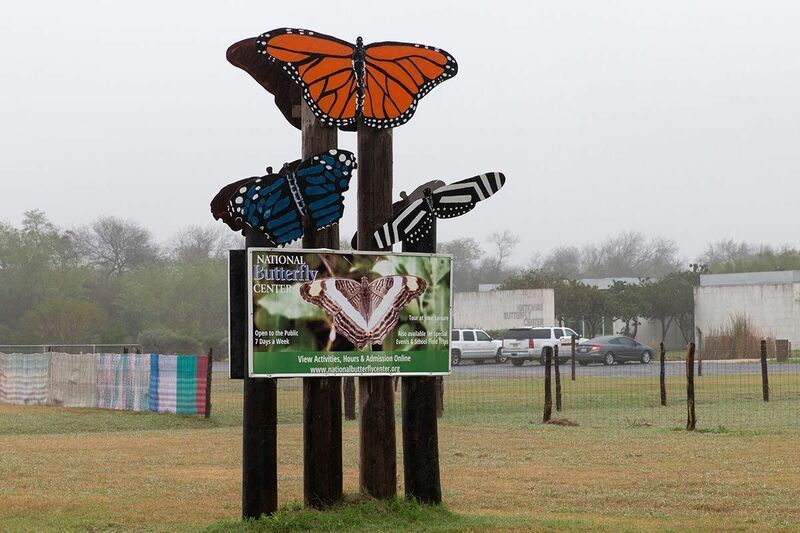 The herbaceous plant, which grows throughout the butterflies migration route, has been disappearing thanks to urban development and the aggressive use of weed control on American farms. In the 1990s, Monsanto introduced “Roundup Ready” crops that could survive being doused in herbicides at levels that would kill all nearby weeds, including the milkweed. This has proven disastrous for the travelling butterflies, who eat milkweed as caterpillars and take shelter and lay eggs in the plant. In 1999, milkweed could be found in half of all the corn and soybean fields in Iowa. Ten years later, only eight percent those fields contained milkweed. It’s understandable why farmers are making every effort to keep milkweed levels down—it can devastate crops and even poison some animals. But if monarch butterflies are to survive, an ecological balance must be struck. Each year, volunteers with the Xerces Society collect data on the status of monarch populations overwintering along the California coast as part of the Western Monarch Thanksgiving Count. Far from being a new problem, records show the largest numerical decline in butterflies was in 1998, when some 600,000 fewer butterflies were counted than the year prior. The mass depletion, which the population has never recovered from, came two years after Roundup Ready crops were introduced in 1996. But the milkweed that survives pesticides might not make a good home for the monarch butterfly. Increased carbon dioxide levels in the air—a side effect of decades of deforestation and fossil-fuel burning—leads milkweed to harbor more Ophryocystis elektroscirrha parasites, which cause the butterflies to develop misshapen wings. Cases of parasite-infected butterflies are also increasing due to the shrinking of available habitat; clustered closer together, the chance of disease transmission increases. Warming temperatures also leads to higher toxicity in milkweeds, making them unpalatable to monarch caterpillars. What would happen if the monarch butterfly went extinct? But more than just being beautiful, monarch butterflies have an important role in the North American ecosystem: They act as pollinators to a host of plants across the country, drinking nectar from flowers and transferring pollen in the process. Alongside the collapse of America’s honeybee colonies, the lack of pollinators could spell disaster for our biosphere. Real change will likely have to come from the government. Some headway was made under the Obama administration, which proposed a plan to promote the health of pollinating insects in 2014. Some $10 million was spent on monarch conservation. The current administration is less enthusiastic about environmental issues in general, and at-risk fauna in particular: The Trump administration is hoping to bypass the Endangered Species Act to build 33 new miles of U.S.-Mexican border wall through Texas’ National Butterfly Center, which nurtures 200 species of butterflies, including the monarch. If the government refuses to move on the issue, there’s a few things regular people can do themselves. One of the most important is to grow milkweed. The education, conservation and research program Monarch Watch encourages the construction of what they call “monarch waystation habitats,” clumps of milkweed and nectar plants covering around 100 square feet. These can be grown anywhere—in backyard gardens, at schools or along roadsides—to help monarch butterflies along their journey. Monarch Watch reports that 22,481 such stations have already been registered with them. It’s important, though, to grow the species of milkweed that’s native to your area—non-native milkweed may actually harm monarchs by causing them to reproduce outside of their breeding season, disturbing migration patterns. Before buying milkweed seeds, the Xerces Society recommends asking vendors about their origins. Farmers can also act to save the butterfly without compromising their crops: The American Farm Bureau Federation recommends establishing milkweed in niches on the agricultural landscape, and adjusting mowing or weed control practices to be mindful of the monarch’s migration seasons. But it’s not just rural land that can be turned into potential homes for the butterfly. Scientists at Chicago’s Field Museum found the city already has over 16 million milkweed stems on the ground, a number that could leap to 38 million with strategic outreach to the community. Although monarch butterflies are being threatened, we can still save them. It’ll just take some personal and political willpower—and a lot of milkweed.